My colleague Helen Wright has made an impassioned plea for support for the poor and vulnerable as we head towards setting the council's budget next week. You can read Helen's statement here and also see some of the areas where money will be cut. I think that it is important that councillors act as a voice for the voiceless in our society. I share Helen Wright's concerns about cuts to social work and vulnerable people funding. The council has been spending £600,000 on dealing with ash from the DERL waste to energy plant at Baldovie, despite the fact that DERL hasn't been operational since May 2012. This money could be put to a better use, I hope that services to the poor and vulnerable can rise, phoenix -like, out of the ashes of DERL. There is no doubt that these are difficult times for local government and that next week we will be faced with some very difficult decisions. I do think that we should reflect on the editorial from the Evening Telegraph and make sure that council decisions do not hurt the poor and the vulnerable disproportionately. I am concerned about growing evidence that proves that blacklisting has been widespread in the construction industry. My trade union, the GMB, has produced compelling evidence of this practice. It is just wrong that people have been denied jobs as a result of their trade union activity. 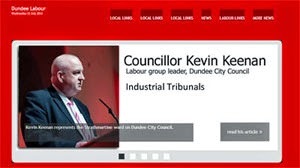 I have written to the Chief Executive of Dundee City Council seeking reassurances that the City Council has a policy against blacklisting and that the council will not let contracts to companies which continue to operate blacklists. I have written to the Chief Executive of Dundee City Council asking about the City Council’s policy on companies which have operated a blacklist. I think that it would be wrong for public money to be given to companies which have sacked workers or refused to employ them on the basis of their trade union activity. We must have fairness. Money from the public purse should be used wisely but I do not think that we can condone the practices of companies which operate blacklists. I hope that the council has a policy which means that contracts will only be given to companies which have open, transparent and fair employment practices. 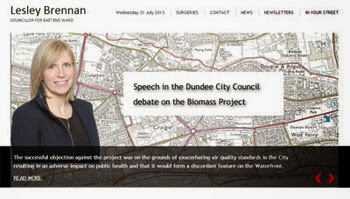 I look forward to hearing about Dundee City Council’s policy and if necessary take action. My colleague Jim McGovern MP for Dundee West has also written to the Chief Executive of Dundee City Council and Cullum McAlpine Director of Sir Robert McAlpine Ltd. to inquire into the level of local employment currently being undertaken in the waterfront development. Jim McGovern has also written to Malmasion urging the use of the local workforce as the chain aims to open its new hotel in Dundee later this year. 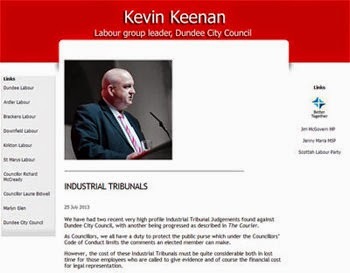 Mr McGovern stated: “While I do not know if blacklisting is a current practice on site of the waterfront development constituents of mine who are Dundee based often raise the issue that the project needs brickies, sparkies and plumbers but yet no jobs for them seem to be forthcoming. 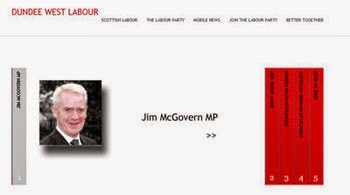 Mr McGovern continued: “With the Governments welfare to work programme failing to help the vast majority of those in Dundee who are unemployed we should use any opportunity such as the redevelopment on the waterfront as a way to reduce the unemployment that is currently blighting our communities. In looking forward I hope that the council has a plan to boost local employment through the opportunities that will arise through the development"
Good Luck to Scotland - Any Chance of Playing in Dundee? I would like to wish Scotland all the very best of luck as they take on Estonia this evening. I'm reiterating my call for Scotland to play an international match in Dundee. Scotland are playing in Aberdeen this evening and I think that there is a strong case for the international team to play in Dundee. I hope that Scotland do well this evening. I would like to wish Gordon Strachan the best of luck as he starts out as Scotland manager tonight. I have been asking the SFA to consider playing a full international match, or even an under-21 match, in Dundee for some time. I am disappointed that there has been no movement on this. 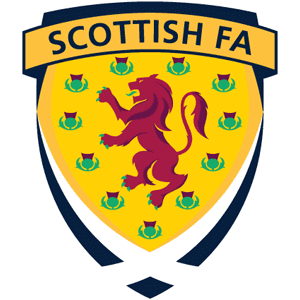 Scotland have played a number of matches around Scotland over the last ten to fifteen years, playing in Edinburgh, Aberdeen and even Kilmarnock but they have not played a full international in Dundee since 1936. That is so long ago that King Edward VIII was still the king at the time. I think that the Dundee is more than able to play host to an international friendly such as this evening’s. In the run up to the Commonwealth Games Hampden Park will be unavailable for football internationals and I think that Dundee should be a contender to host at least friendly matches. As Dundee competes to be UK City of Culture in 2017 I think that one of the events which we should be looking to include in the year is at least one international football match. I will be writing to the SFA asking that they consider bringing a full international match to Dundee before too long. This afternoon along with a number of other councillors I attended a meeting to look at whether the City Council could promote 20 mph speed limits in more areas of Dundee. This meeting came about thanks to the hard work of George Gammack, and I would like to thank him for his efforts on this. The meeting heard about the work of Living Streets and their Go20 campaign. I made a number of suggestions such as that they should look at how they can promote their work with Community Councils and other representative bodies in the city. One of the strongest arguments in favour of limiting speeds in residential areas is that the transition from major to minor injuries takes place around 20 mph. It is claimed that where 20 mph schemes have been introduced across Europe and the UK, they have cut the number of pedestrians killed or seriously injured by between 50 and 60 %. I think that there is much in the idea of cutting speed limits in residential areas. I would be very happy to hear from constituents about their views on this. 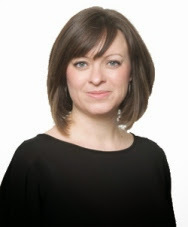 As Labour's Environment Spokesperson on Dundee City Council, I havecalled for action after research from Friends of the Earth Scotland highlighted that 4 of the 15 most polluted streets in Scotland are in Dundee. The streets concerned are Lochee Road, Meadowside, Seagate and Whitehall Street. I've raised my concerns with the council's Environment Department and I'm looking to see what can be done to alleviate this problem. I am also seeking a briefing from Friends of the Earth Scotland about what they think should be done. 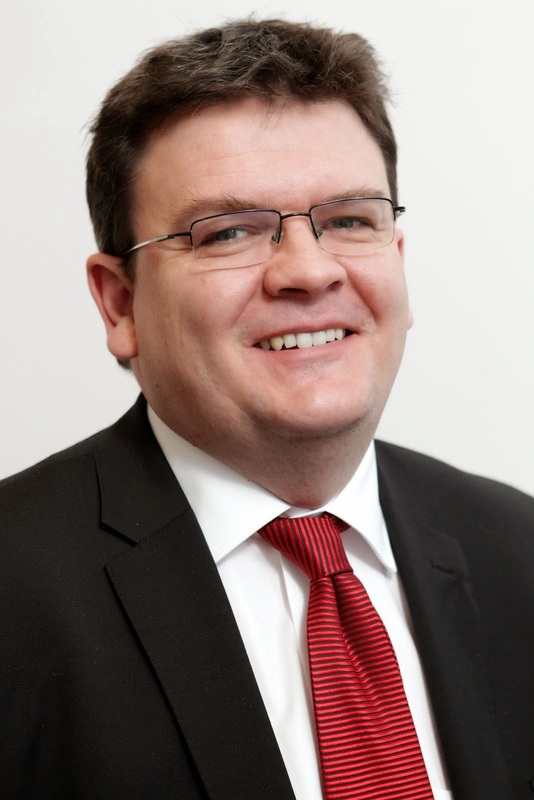 As Labour's Environment spokesperson on Dundee City Council, I have sought reassurance over trading standards and food safety services provided by Dundee City Council in light of a report published by Audit Scotland called Protecting Consumers. I will be seeking a meeting with officers from the council's Environment Department to go over this report and see how Dundee does in this context. 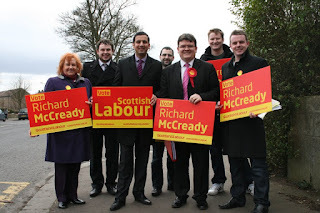 The Audit Scotland report raises concerns about the long-term viability of trading standards services I want to make sure that services in Dundee are robust. People in Dundee expect goods and services to be offered to them fairly and honestly and I am sure that for the most part that is the case. When there is a problem, however, the people of Dundee need to know that there is adequate protection in place. The report from Audit Scotland offers a check list for councillors and I want to go through this with officers to make sure that Dundee City Council is doing all it can to protect the people of Dundee when it comes to buying goods and services or buying food. In these difficult financial times for local authorities perhaps trading standards and food safety might not seem like a top priority but the consequences of getting this policy wrong could be tragic. I would hope that officers of Dundee City Council will be able to offer me the reassurance that I am seeking, but I feel that it is important to ask the questions.